Perfectly encapsulating the luxury and glamor the area is famous for, our exquisite selection of Acapulco villas make the perfect setting for your dream vacation. 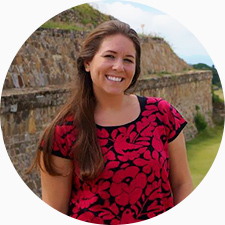 Each of our vacation homes has been hand-picked by our team of Mexican luxury rental experts, with only the top-tier of rentals making it through our rigorous inspections. Iconic since the 1950s as one of the country’s premier vacation destinations, Acapulco was a pioneer in the Mexican tourism industry. Located on the Pacific Coast, this vibrant city has captivated travelers for decades, and the Pearl of the Pacific still retains its many charms. Revel in Acapulco’s charm which drew the likes of Elvis Presley, Frank Sinatra, and Elizabeth Taylor. Snorkel among vivid tropical fish, dine at some of Mexico’s most elegant restaurants or take a cultural journey through the area’s rich history. Of course, guests will be just as happy relaxing by the pool and enjoying the glorious weather in any one of our Acapulco villas. 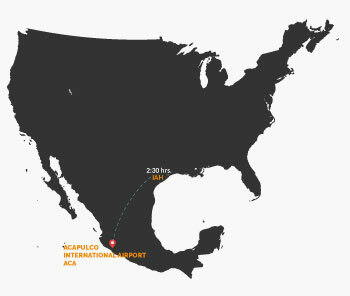 HOW TO GET TO ACAPULCO? Visitors can fly into the bustling Acapulco International Airport, situated around 25km from the city. A car journey to the center will take around 30 minutes. Acapulco sits in the southern Mexican state of Guerrero on the Pacific Coast. A number of states are on its border including Oaxaca and Puebla. measures. Acapulco falls in the Central Time Zone. Daylight Savings is in early April and late October.